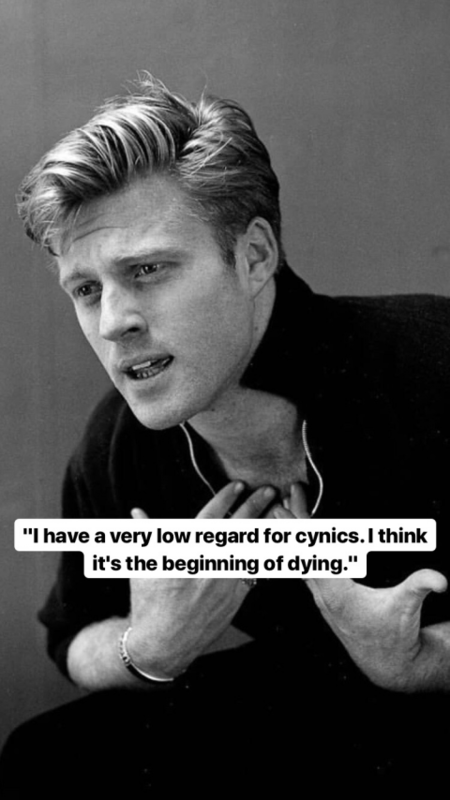 So much yes to this Robert Redford quote. Cynicism hurts me in my heart. Never thought of it this way but yeah. Agree 100%. It is the most perverse form of disrespect.